The ASTI program is committed to real change at the ground level. By driving transformation in market conditions for rooftop solar in jurisdictions across the United States, ASTI will make adopting solar easier, faster, and more affordable. An improved solar business environment with lower administrative costs enables participating jurisdictions to capture the full economic and environmental benefits of solar power in their communities by helping their local markets grow. ASTI is part of the U.S. Department of Energy’s Rooftop Solar Challenge and has received funding to help reduce transaction, administrative and construction costs related to residential and small commercial solar projects. 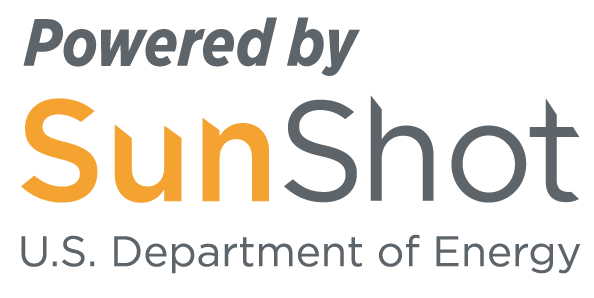 The Rooftop Solar Challenge is part of the DOE SunShot Initiative, which seeks to make solar electricity cost competitive without subsidies by the end of the decade. ASTI was created by Optony, based on a successful project launched in 2012 called the Southwest Solar Transformation Initiative (SSTI). SSTI efforts focused on developing roadmaps for local jurisdictions, providing a centralized online technical resource center, and engaging with staff at participating agencies to provide technical assistance for all their solar programs and process improvements. The SSTI team was directly engaged with over 70 participating organizations across the Southwestern states of California, Colorado, Nevada and Utah. Evaluate and Report Solar Potential. Quantify and document the solar potential across residential rooftops in each region and quantify the benefit in terms of economic activity, jobs and environmental impact. Assess Current Solar Processes. Document the existing processes, rules, and regulations regarding solar development in order to identify all major market transformation hurdles and establish a baseline for each jurisdiction. Create Customized Roadmaps. Develop local and regional roadmaps for streamlining and standardizing permitting, zoning and interconnection processes in collaboration with all stakeholders, and provide guidance on applicable solar project financial and economic models for residential and commercial property owners. Provide Comprehensive Resource Library. Deploy a market-leading platform for solar best practices, resources and reports for agency staff at all levels and regional/national stakeholders. Support Implementation of Roadmaps. Provide hands-on technical assistance, training, and support to facilitate adoption of programs by local organizations that help capture regional solar opportunities. Engage Regional Solar Communities. Provide educational resources and community engagement activities for the solar industry and buyers at a regional level. A fact sheet on the ASTI Program and the Solar Roadmap website can be found here. More information about the DoE Solar Rooftop Challenge can be found here.